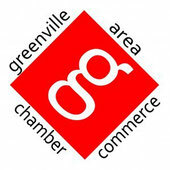 Greenville Family Dental - Website of greenvillebusinessnetwork! I am Dr. Tara Meachum and I’d like to welcome you to Greenville Family Dental! At Greenville Family Dental, we are serious about providing superior dental care at reasonable prices and proud of our dedication to our patients. We offer services such as gum therapy, veneers, fillings, crowns, dentures, root canals, and ClearCorrect (removable clear braces). We’re proud of our state-of-the-art technology and utilize digital x-ray technology which lowers your radiation exposure compared to traditional methods. Check out our website www.greenvillefamilydental.com to learn more. Our goal is to help you feel and look your best through excellent dental care.